We have invested and continue to invest in growing capacity to meet our clients’ needs. The firm consists of five Partners and a larger team of professional and enthusiastic support staff. Maureen has strong communication and organization skills with the ability to focus on tasks till completion. 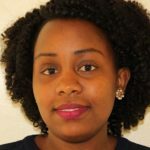 She takes a holistic approach to problems and opportunities with a keen interest to grow business impact,turn over and profitability.Her ability to deliver is based on her strong and growing understanding of business and the customer, conscientious leadership and teamwork ethic. Her work involves overall management of all strategic and operational Marketing and Customer Relationship activities, conducting research to identify new markets and customer needs,arranging business meetings with prospective clients researching the needs of other companies and learning who makes decisions about purchasing,contacting potential clients via email or phone to establish rapport and set up meetings,planning and overseeing new marketing initiatives, Attending conferences, meetings, and industry events. Maureen holds a Bachelors of Business Management from Moi University. 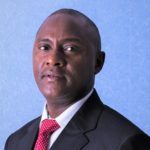 Boniface has an admirable penchant for dispute resolution and offers practical professional debt management solutions to our clients having been in this field for eight (8) years. 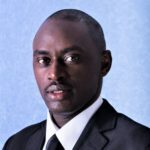 His work involves helping clients collect debts from 3rd parties in using superior proven techniques to recover all kinds of distressed debt which are all useful in enabling our clients to maximize return on investment. He is experienced in debt collection, repayment schedules, document management, reconciliation, 3rd party collections and skip trace. 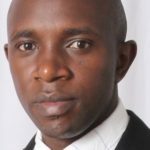 Boniface holds a Certificate in Law from Kenya School of Professional studies (KSPS). He is also a Private Investigator and Court Process Server. Maurice is a paralegal in the Firm attached in the Conveyancing Department. He joined our Firm in April, 2015. 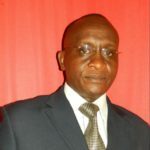 He is well versed with the different registries and has experience in obtaining Clearances, Consents and registration of land documentation. He is an expert at handling Transfers of property in the various land regimes and security perfection. 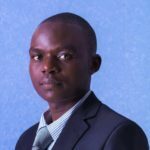 Prior to joining the Firm, Maurice worked in Administrative Sector of Muriu Muigai Advocates where he gained invaluable experience in Clerical work. Geoffrey is a paralegal in the Firm attached in the Litigation Department. He joined our Firm in November, 2016. He has over ten years experience in obtaining clearances,formatting briefs, pleadings and other legal documents,keeping track of attorney time records and billing,filing legal documents,transcribing dictations corresponding with clients and maintaining calendars. Patrick has over five years experience in dispute resolution and debt management. 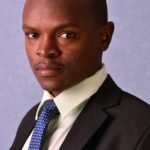 Brian is a competent accountant with over five years of extensive experience in Financial Accounting, Auditing & report preparation, fixed asset maintenance, tax compliance and conversant with accounting regulations & financial reporting standards, internal policies and procedures. His work involves preparing asset, liability, and capital account entries by compiling and analyzing account information,Documenting financial transactions,recommending financial actions by analyzing accounting options,summarizing current financial status,preparing balance sheet, profit and loss statement, and other reports. He substantiates financial transactions by auditing documents,maintains accounting controls by preparing and recommending policies and procedures,reconciles financial discrepancies by collecting and analyzing account information,secures financial information by completing data base backups, prepares payments by verifying documentation, and requesting disbursements, prepares special financial reports by collecting, analyzing, and summarizing account information and trends and maintains customer confidence and protects operations by keeping financial information confidential. Titus has been with the Firm since 2014. His duties revolve around organizing the office and assisting associates to optimize processes, sorting and distributing information in a timely manner, creating and updating records ensuring accuracy and validity of information. His ability to pay attention to detail makes his work perfect. Anne is a highly committed, confident, creative and visionary person, excited by challenges and a proactive team player. She has a strong personality and excellent communication skills which helps her build great relationship with clients. Her work involves welcoming visitors by greeting them in person or on the telephone, answering visitors inquiries about the Firm and its services, making and receiving phone calls, sorting and handing out mail, scheduling appointments and maintaining effective records. 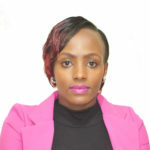 Anne holds a Certificate in Office Procedures, Communication Skills, Telephone Operation and reception from Nairobi Institute of Business Studies. You can also see more information about our partners or associates.